They say the quickest way to someone’s heart is through their stomach, so perhaps that’s why the kitchen is considered the heart of a home! When you’re beginning a kitchen remodeling project, ProSource® of Memphis is here to help with expert insight and advice, and guidance on which of our high-quality products will best fit your new kitchen and your budget. 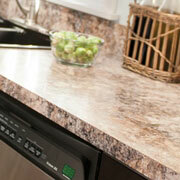 ProSource of Memphis is here to make replacing kitchen cabinets quick and easy. 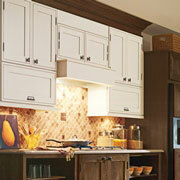 We offer the finest selection of cabinets in materials and finishes that will match any kitchen. Work with our kitchen design specialists to create a cabinet storage solution for your clients. Trade pros recognize that the hardware on a client’s cabinetry adds to their accessibility as much as their aesthetics. In our kitchen showroom, you’ll find knobs, handles, and pulls in finishes that are brilliant and bright or lusterless and matte and everything in between. 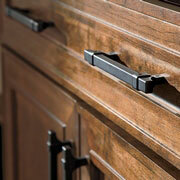 Make the kitchen cabinets stand out with the right hardware. The countertops are one of the most character-defining features of the kitchen. For homeowner clients who want the latest and most modern look for their kitchen, trade pros can browse our comprehensive suite of countertop materials, including marble, granite, and recycled materials. 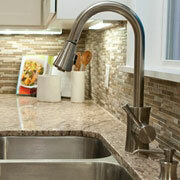 Trade pros should take how their clients use their kitchen into consideration when they consider a new kitchen sink. Because it is used for a whole host of tasks, some clients may need a smaller single basin sink, while others might benefit from a triple basin kitchen sink. 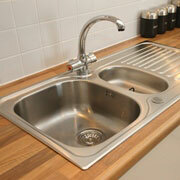 Fortunately, ProSource has a sink for all seasons in our showroom. More than just a spout and a set of knobs, the modern kitchen faucet offers new features like pot- and beverage-filling fixtures, and come in finishes and designs that can complement any kitchen decor.